In my last article for Improve Photography, I began a two part series about motorsports photography for beginners. You can read the first part here. In that article, I covered some of the gear such as safety vests and lens; basic camera settings and other tips for anyone thinking about heading down to the track to shoot a race. In this second part, I am going to cover some basic prep work that I do and the type of shots that I look to capture. 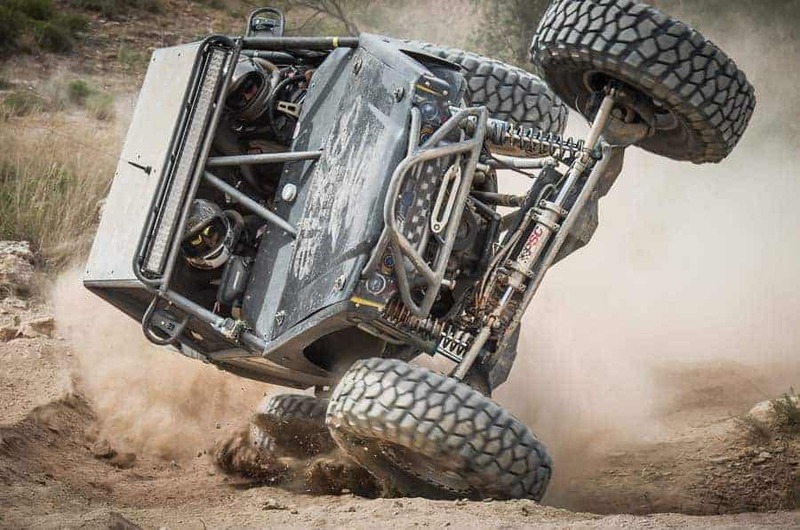 In the offroad world, capturing a car throwing dirt is a must have shot. When the sun is low on the horizon with that magical golden light bouncing off the pounds of dirt floating through the air, magic happens. I shot my first race back in 2012. It was a wet and cold affair. Just a month later, I was back on the track and then it was almost a year later before I returned. After that third race, I was not happy. I was not happy with the work the shots I was capturing, so I started down a path to become a better motorsports shooter. Listening to some podcasts and studying the work of other photographers, I finally reached a point where I felt like I was ready to make some serious strides. One of the things that I did was I started going to the races with a game plan. My intentions by having a game plan was to make the day easier and less stressful, but to come away with better shots. I do not write the plan down, I just make a mental note of it. Depending on if I have been at the track before will determine how in depth the plan will be. If I am familiar with the track, then I will have a list of locations that I will shoot from and will probably include what type of shots I plan on getting at each location. Of course, if I have never been to the track before, then I have to adjust on the fly depending on the location, but it is not that big of a deal. While I will adhere to the plan pretty much to the letter, I keep my mind open. That is I will always be looking for different spots, even at the tracks that I have been at before. 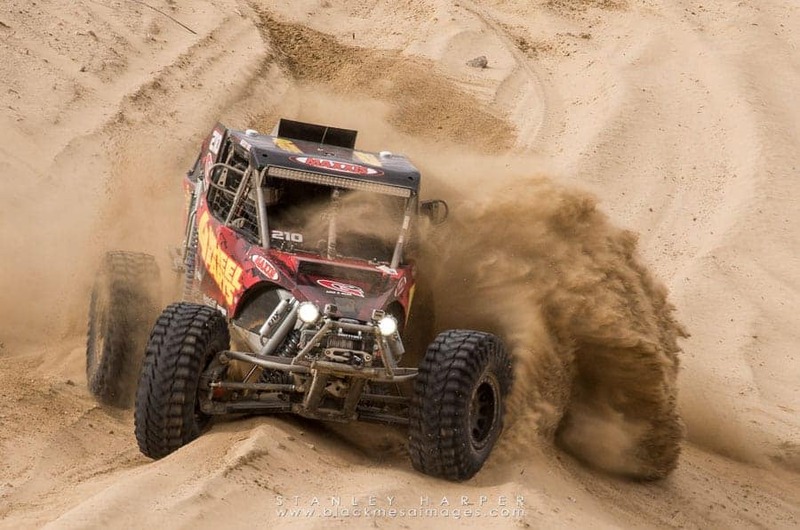 Especially with off road racing, I might have to change things up due to the wind. While I have seen some photographers sit on a corner eating tons of dust just because that might be a prime shooting location, if the breeze is blowing the dirt where I want to be, I will move. I appreciate the benefits of standing upwind. This shot is from the second race that I ever shot. I did not have a plan that day, but after making my way down the track a ways, I found a mudhole that I knew if I stayed long enough, I might capture a decent shot. In the last article, I wrote about safety in shooting motorsports and it is a no-brainer on why. There's going to be crashes, spins, rollovers and a number of other calamities that could befall a racer. Here's a little story to illustrate being ready. 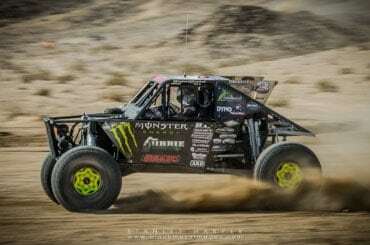 In 2014, I was lucky enough to be able to shoot The King of The Hammers race in Johnson Valley, California. The race was on my bucket list of races to shoot and I got hooked up with the company that creates the race movie. On the first day of qualifications, I was not really feeling much of the qualification course, so I hung out near the start finish line for the actual race, but I was a little ways away from the qualification finish line. The last stretch of the qualification run required the racers to come bombing down a hill and the finish line was at the bottom of the hill. I was just hanging out, catching shots of cars here and there and chatting with a spectator who made the trip to the race all the way from England. I was not really paying attention to the cars bombing down the hill until I caught a glimpse of a car that just about lost it coming down the hill. It was at that point I began tracking the cars coming off that hill. It was not long after when I started tracking the cars when I not only caught my first race wreck on camera, but it will probably go down as the most spectacular (unless I make it to a NASCAR race) and out of the 200 some odd credentialed media members with the promotion, I had the best angle and as far as I know, only 1 of 2 that got shots of the crash. One of the choppers caught it on video. Truth be told though, I had started to pull off the car right at the finish line when I noticed through the viewfinder the car getting a little sketchy, so I got back on it and that was when it started rolling. I was able to get about 20 frames from the crash. 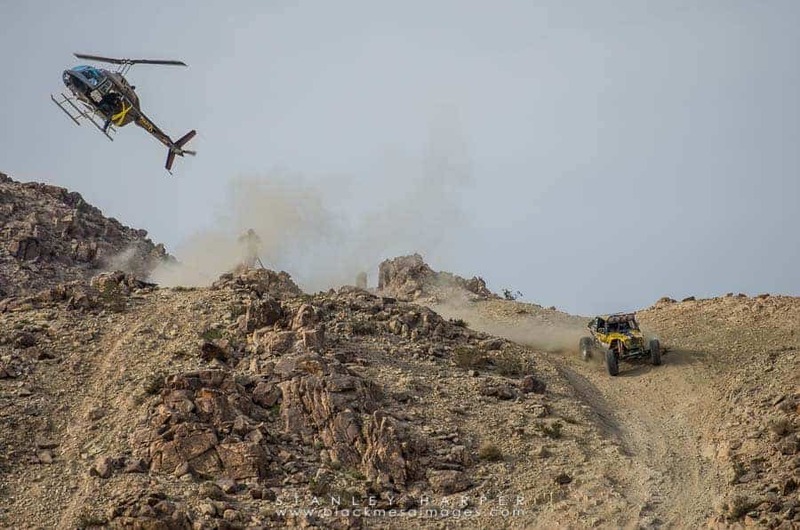 Taken from a series of images of a crash I captured at the 2014 King Of The Hammers, I almost lost my chance catching the crash when I quit tracking the car. As luck would have it, my next race some months later, I caught my second wreck while I was catching shots at the finish line of the race. Going back to the last section of this article, I always make “finish line shots” an entry on my list. So be ready for the small one, the big one and the ones in between. So here is my list of shots that I look to get at a race. Candid shots are shots that can set your work apart. Many times, I will come across a gallery of race images and the gallery will follow a set formula. Racers at Point A, Racers at Point B and Racers at Point C. That is the entire gallery and none of the images really stand out. Candids though can stop a viewer's eyes in their tracks. Close up shots of drivers sitting in their cars waiting for the start, race officials at the drivers' meeting, pit crew turning wrenches, the thrill of victory and the agony of defeat. Candid shots can break the surface and draw the viewer into the story of the race. This candid might be my favorite race candid. I shot this in the morning using shallow depth of field, focusing on the co-driver in the mirror while the sun is blocked by the mirror. 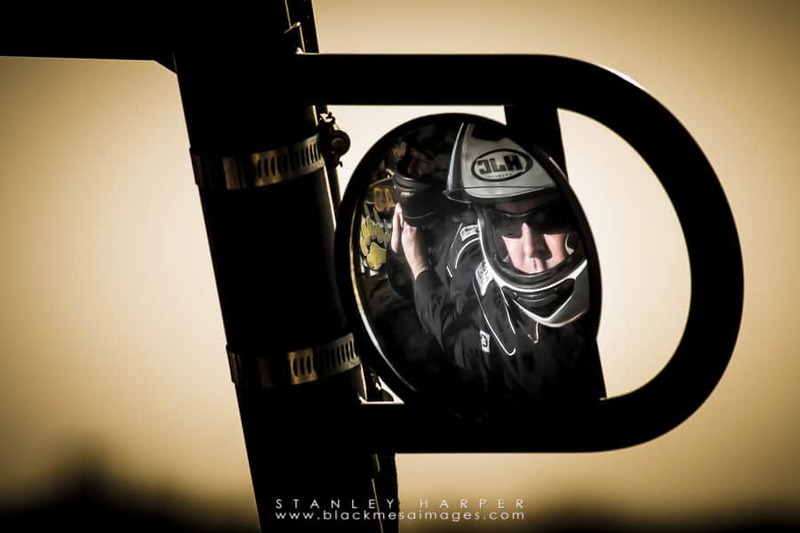 A driver chills out before his qualification run at a race. Before I write about using wide angles at races and I will break this down a little bit, I must reiterate the safety aspect. Using a wide angle lens might require the shooter to be real close and when I say real close, you might find yourself in the danger zone if you are not paying attention. I like to get shots with my kit 18-55 dialed back to 18mm. The look can really make an image stand out from the rest of the gallery. To take shots with this particular lens, I will find a spot that will accommodate using it. The two best places I ever found was in the pit area where the cars are slow (more on this in the next section) and on top of a rock that put me about 10 feet above the course. Shot at 18mm with a slow shutter speed, I was able to capture a unique look that I have not seen all that often. 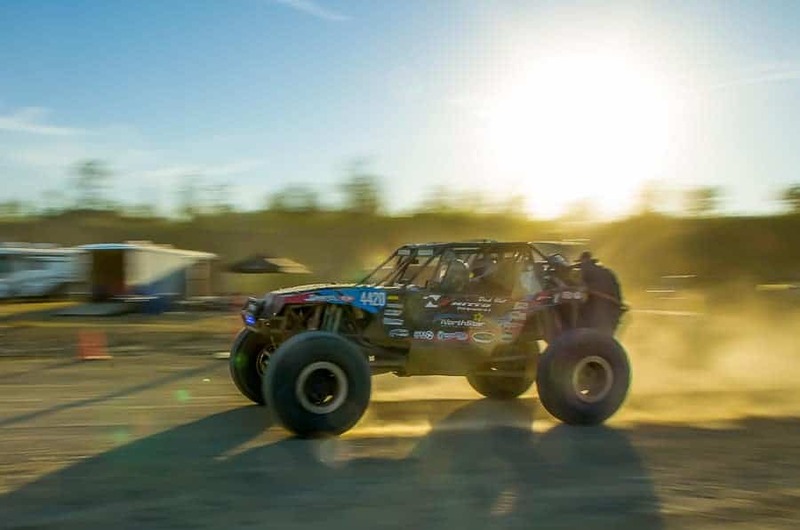 Another reason to go wide is to create an image of the environment that the race is being held at and you might not need a traditional wide angle lens to do this. 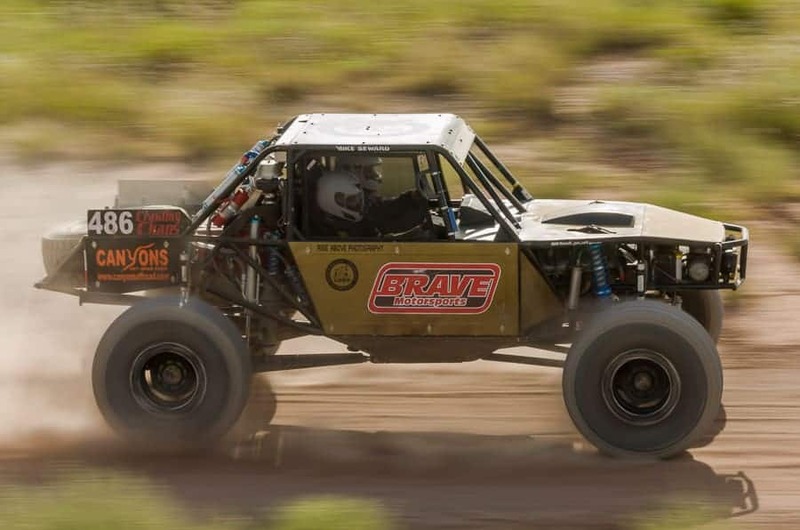 Even with the typical 70-200 or 70-300, you might be able to frame a shot with a car or cars along with a gaggle of spectators, or the desert that plays a big part of the race. I shot this at 300mm on my crop sensor and I stretched this shot as I wanted to encompass a car being trailed by a chopper at this race. Slowing down the shutter speed to obnoxious speeds will add pop to the image. You might have seen those awesome shots of a NASCAR car going down the track and the only thing that is sharp is the car itself, everything else is one big blur. Shots like this are awesome. There are a couple of things you need to do to pull this type of shot off, which are also commonly called panning shots. The first thing you should do is pick your spot. I prefer a straight away section of the track. The next thing you need to think about is focal length. I have found these types of shots are easier with a long lens. It can be done with wide angle, but I will go into that shortly. Once you have found the spot you want to shoot from, the next thing is to visualize a zone on the track. I will mentally label three points, A, B and C. A will be where I begin shooting. B will be the spot that I prefocused on and this is where I will get the money maker and C will be where I terminate shooting. Once I have that, I will pick out my shutter speed. I usually start somewhere around 1/45th. After this, I will go back to my zone and prefocus on Point B. At this point, I am ready. I will look down the track before Point A and wait. Once I have a car coming, I will track the car through the viewfinder. Once the car reaches Point A, I push down the shutter and I follow through until the car reaches Point C and then I will stop shooting. Now when the car is coming through and you are shooting, you track the car keeping the camera level throughout the motion. I have seen different recommendations on how one should hold the camera while doing this. My advice is to do what works with you. You're not worried about focus, you're only worried about tracking the car through while keeping the camera level. The one thing that I do recommend is as long as you are tracking the car and shooting, keep your feet planted and rotate your body from the waist up. After I am done with that first car, I then review the images, particularly the shot that is where the cars crosses Point B. I look for sharpness of the body. Do not let the LCD screen fool you though, zoom in on the image and look at several different parts of the car to see if everything is in focus and sharp. Normally, that first series of shots will be off. My shutter speed and my body rotation did not match the speed of the car, so I will turn up the shutter speed a little bit. I am usually on the mark at this point and will shoot my series of slow shutter speed shots and then I am off to something else. You might struggle at first using this technique, but go for it. We get nowhere if we do not challenge ourselves. Dropping down to a shutter speed of 1/90th, I was able to add to this image by getting that magical blur. Again, I need to reiterate that you need to think this out before jumping in. I have listed what you need to think about before using a wide angle lens at the race track, so I will skip that. Up your game and add the wide angle lens to the slow shutter speed technique. Check out the results and decide if you like them or not. Personally, I love the results, but it's a subjective thing. 18mm with a 1/15th shutter speed, getting the right place and right time to do these shots might be impossible depending on the location. Although it looks like the car is running incredibly fast, in reality it might have been doing 25mph. 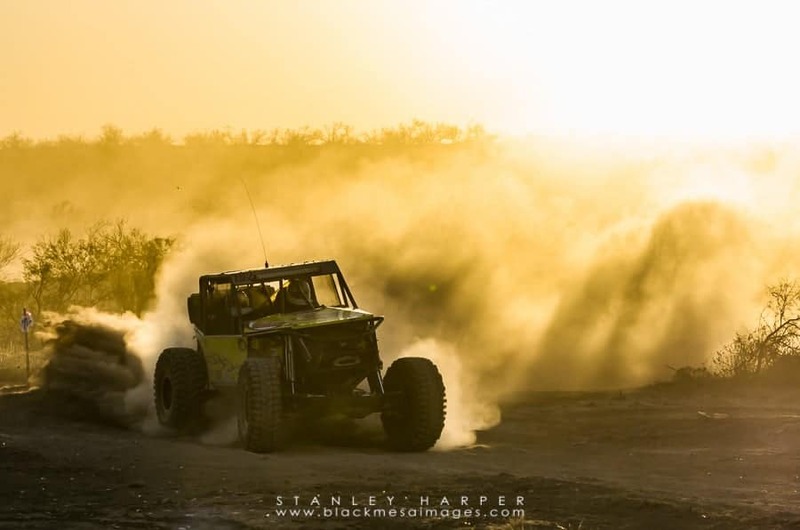 Of course, this will not pertain to shooting on asphalt, but if you are shooting racing on dirt, especially dirt bikes and off road; these shots manifest themselves to the viewer. The best place to setup for these shots are on turns. 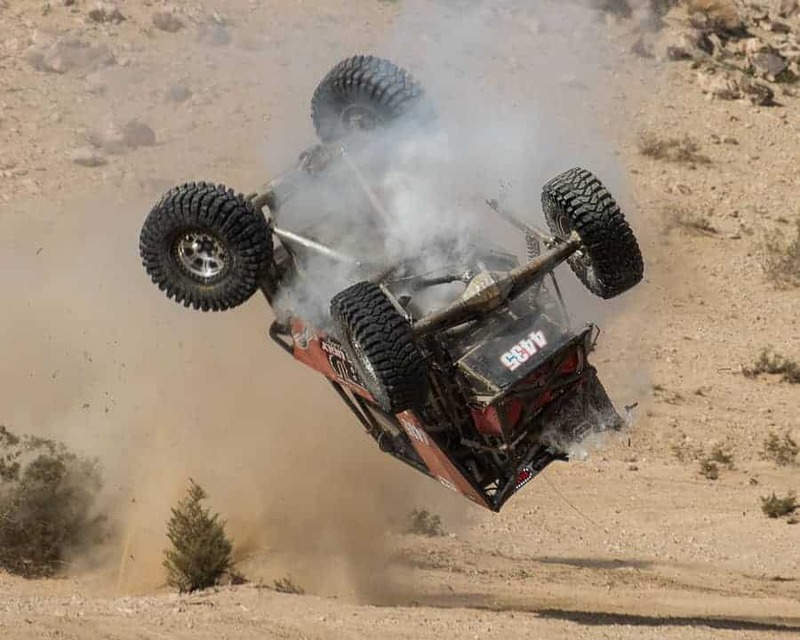 When the dirt bike or car bombs into the turn and the driver twists the throttle or hammers the gas pedal, there will be a roost of dirt shot up into the air by the rear tires that add so much to the image. On these shots, your best bet is to turn up your shutter speed and forget it. Freeze the dirt. 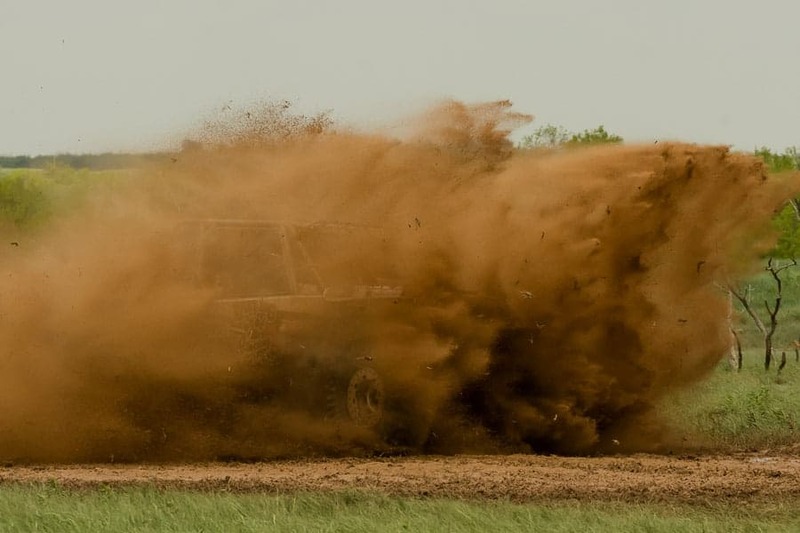 You will have clods of dirt sharp as a tack. While I have been accustomed to mostly shooting Oklahoma red dirt getting slung, California desert sand makes getting these types of shots a little easier. There is so much you can do with the golden light and motorsports. 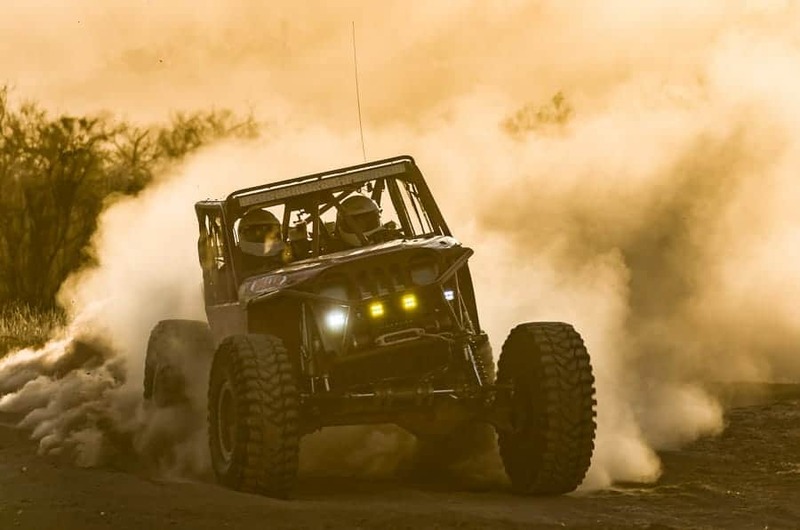 At the annual King Of The Hammers race in California, the cars are staged early in the morning of the main race. By happenstance, the cars and people are facing west, so a photographer can get out in front of them and pop off all kinds of awesome, golden light candid shots. Another shot of the sun, low in the horizon bouncing it's rays off the dirt clouds hanging in the air. The only limit on how creative you can get with your photography at the track is your mind. It will cost you nothing to experiment except for some minuscule space on your memory card. One of the most creative sports photographers that I know right now has a special type of shot that I have yet to figure out how he shots those shots and it's very, very rare to come across something similar. One thing I like to do, but have gotten to do very little of is light trails. I did this awhile back at a race after it went dark and the cars had their lights on. 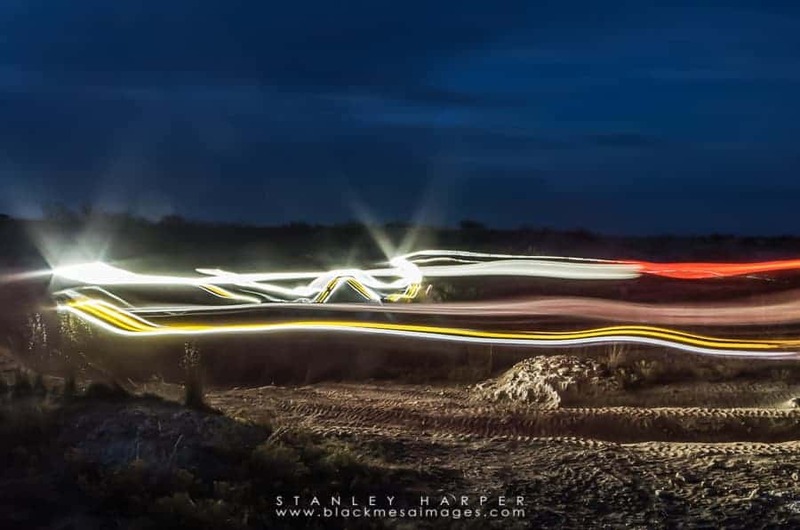 It was a two shot composite of just some light trails bouncing around the Oklahoma countryside and no cars. When I get home, I upload all of the images to my hard drive. 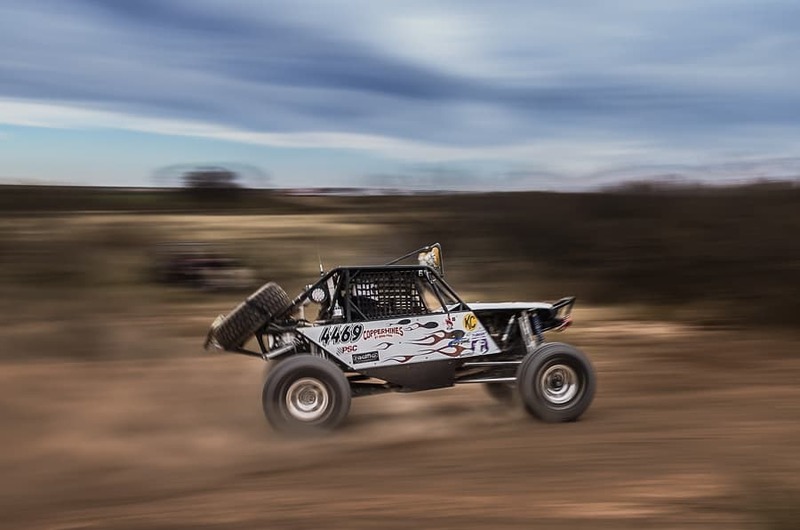 Then I will usually rename the files that will include the race promotion and location, so it will read something like “dirt-riot-coppermines-####” and then I import them into Lightroom. Once in Lightroom, I will batch keyword the files and then put them into their own folder. From there, I will go through and select the keepers using the star system in Lightroom. While I am in selection mode, I will also flag those images that I want to use on social media and/or for a little more “creative love.” Once I am done with selection, I will then apply a preset that I develop that can be applied to all of the images that I have selected. The preset is pretty basic. A touch of contrast, clarity, color correction with the HSL module, noise reduction and lens correction. The final post processing step is cropping. It is during this time when I will narrow down the selections even more. At that point, except for the images that I have selected for the “creative love” touch, I am done. I would like to thank everyone who has taken their time to read this series. 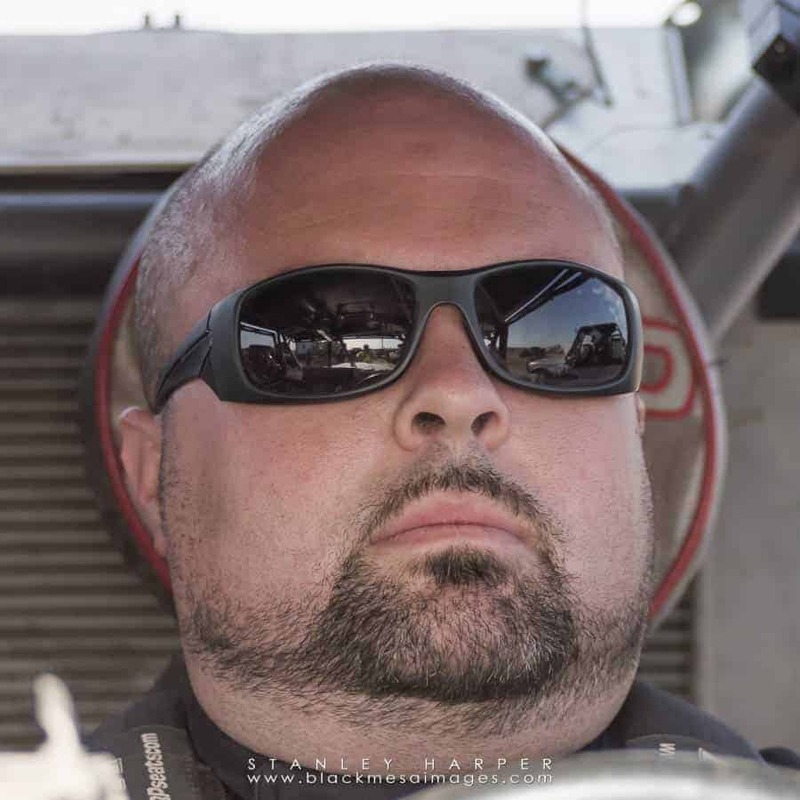 Although my work has been concentrated in the off road world, I have applied this knowledge to the circle track races that I have shot and it has been my goal to place all of the information that I have learned into one place that will help photographers around the world who are thinking about heading down to the local track for the first time. I appreciate any feedback to the information that I have presented. Thank you. Last but not least, just this week marked the launch of Improve Photography Plus. For a small monthly fee, you can access to all kinds of goodies such as presets, tutorials and I believe there is even a workshop being held just for members later this year at no extra charge. Check it out!! !